I made this card using patterned paper and elements from the Sunrise Lily Collection by Heartfelt Creations. I stamped and die cut the flowers on white cardstock and sponged color on them with the GKD Faded Brick stamp pad and Memories Yellow stamp pad. I then shaped and assembled each flower and added some sparkle and shine with a copper colored glitter glue. I used GKD Fresh Asparagus and Grass Green stamp pads for the leaves and distressed the edges of the card and sentiment with a Ranger Vintage Photo stamp pad. 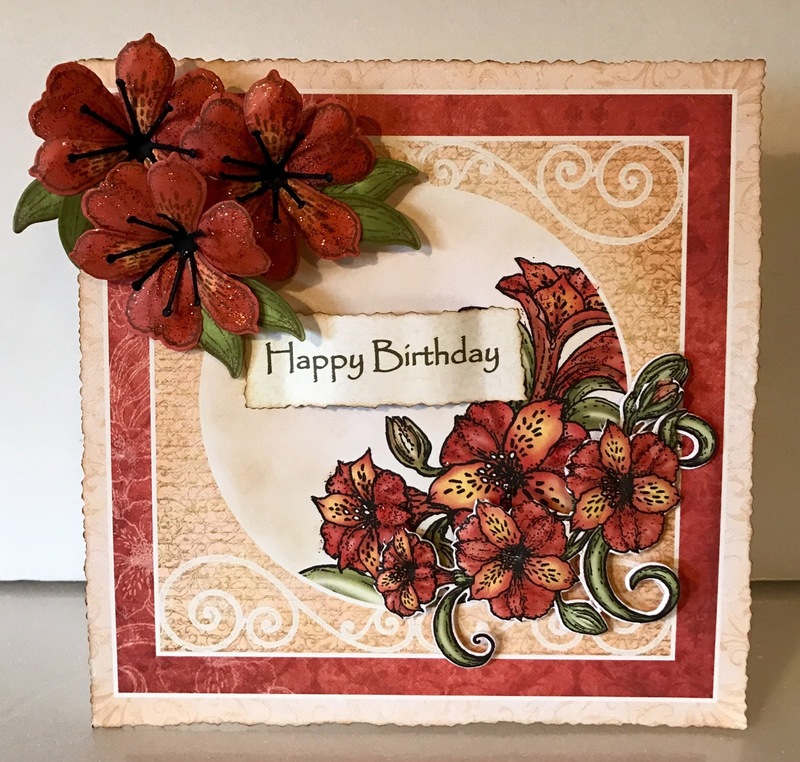 These colors are not what I usually use for a floral card, but I am pleased with the results. There are excellent tutorials on flower shaping on the Heartfelt Creations website.